Pets provide security, love and companionship to so many people including assisting those with loneliness and depression. However, it is absolutely crucial to consider if their breed and behaviour is compatible with your choice of home and environment. If you live in an apartment building it is likely there will be pets living in your building, or you may even be a pet owner yourself. The recently announced changes to the Victorian State Residential Tenancies Act will remove the current ‘not pet clause’, giving tenants the right to keep pets. This means that landlord consent will still be required, but refusing pets could be appealed in VCAT or the courts. 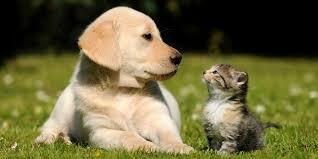 If you have a pet it is essential that you act as a responsible pet owner to keep your pet happy and healthy! This not only means regular vet visits, keeping up to date with vaccinations, training and daily walks but remembering to always clean up after your pet, placing waste in the designated waste areas rather than through the storm water drainage systems. Always take responsibility to report any damage caused by your pet to the common property so the appropriate measures are taken to restore the common property. 1.It is crucial to raise the issue directly with your neighbour. Talk to them, let them know what the problem is and give them a chance to fix it. 2.Advise your neighbour that the issue is still persisting and refer them to your local council, who can assist in providing advice about resolving behavioural issues. Councils can provide a wealth of information, including recommendations for reputable and locally based pet training organisations. 3.In the meantime, make sure you keep records to show how often and how long the behaviour goes on for. 4.If the issue continues despite your best efforts you may wish to address the matter with your Owners Corporation Manager and Committee for resolution. As Dixon Kestles Owners Corporation Managers, we are able to give notice to the pet owner if their animal is a danger or is causing a nuisance, under instruction from the Owners Corporation Committee. If the pet is not a support or assistance animal (such as a guide dog) they may be required to remove the animal from the building if the behaviour remains unresolved.